Bicycle wheel sizes don’t work the way you think. The name e.g. 26″ refers to the outer tyre diameter. And there are actually many different wheel sizes all called 26″, because there are lots of different tyre thicknesses. E.g. with a thin tyre, the wheel rim diameter is much larger than with a fat tyre. You need to check exactly which wheel size you have before you buy against our table of wheel sizes. Want to know more? Continue reading for further information. But – is it standard? Actually, the term 26″ wheel can refer to at least 5 different wheel sizes. 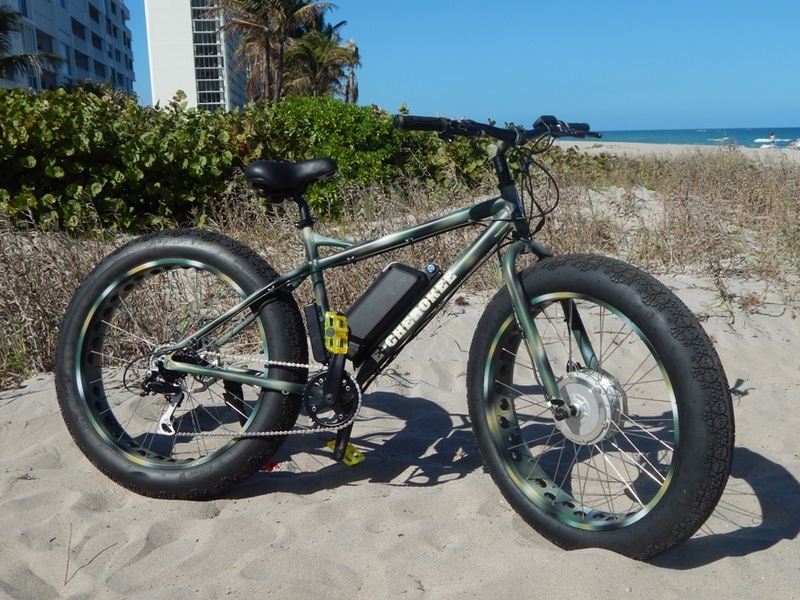 If you replace your 26″ bike wheel with a 26″ ebike motor wheel then you could find they are different sizes and the motor wheel doesn’t fit. All are variations on the 26″ wheel size! So what is going on? Well, the confusion is because 26″ refers to the outer diameter of the tyre. But depending on how fat your tyre is, the outer diameter of the bicycle wheel rim could be different. At Panda eBikes we sell the most popular and common wheel sizes. To be sure you are getting the right size please look at our list of wheel rim diameters and compare to the diameter of your current wheel rim. As long as they match to within 5-10mm you will be able to use our wheel. If the diameter is more than 10mm different you will find your bike ends up lopsided and the V-Brakes may not be able to be configured. So, before buying, please measure the rim diameter of your current wheel and match it with ours to ensure you are ordering the right one.